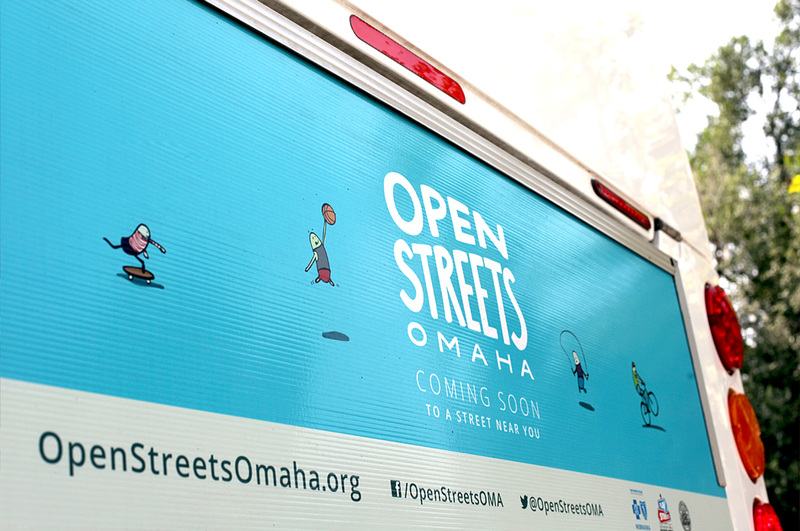 A short animation that captures the spirit of Open Streets Omaha. 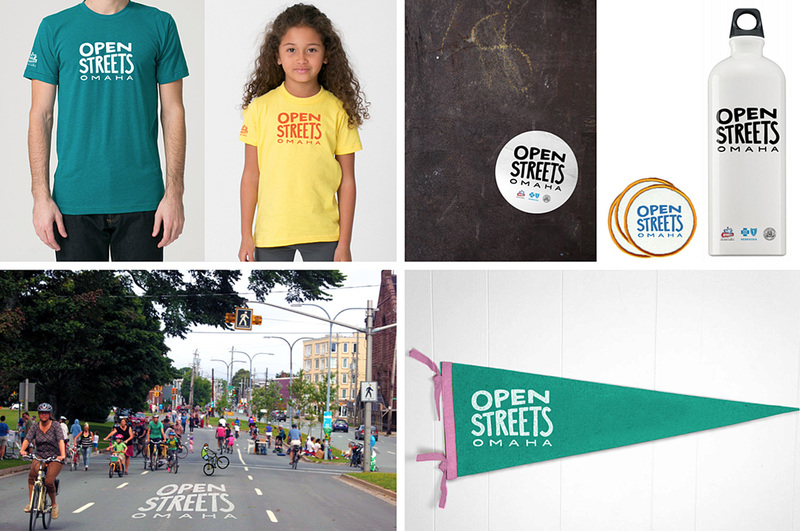 Each letter has personality, but they huddle together as one, representing the bringing together of community that OpenStreets aims to foster. The looping animation of the logo embodies the movement and liveliness of people attending the events, while bright, saturated colors add to the boisterous feel. 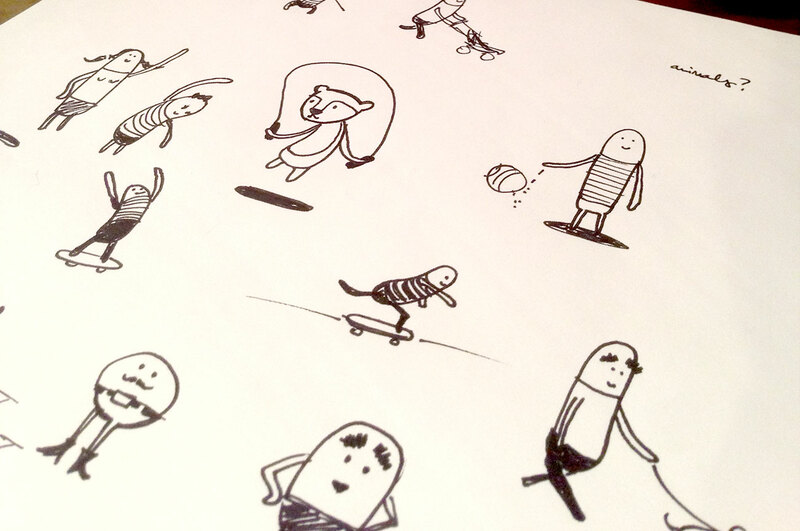 Little bean-shaped characters illustrating the different activities add a bit of fun. While there is meaning behind the brand identifiers, such as the logo, it’s not always clear until over time certain associations are made with that logo. We create a straightforward plan to accomplish this. The start of the illustrations of the Open Streets Ambassadors. Mockups of where we may see the logo and branding to give it context. One Page of everything you need to know – an overview of events, dates and sponsors. 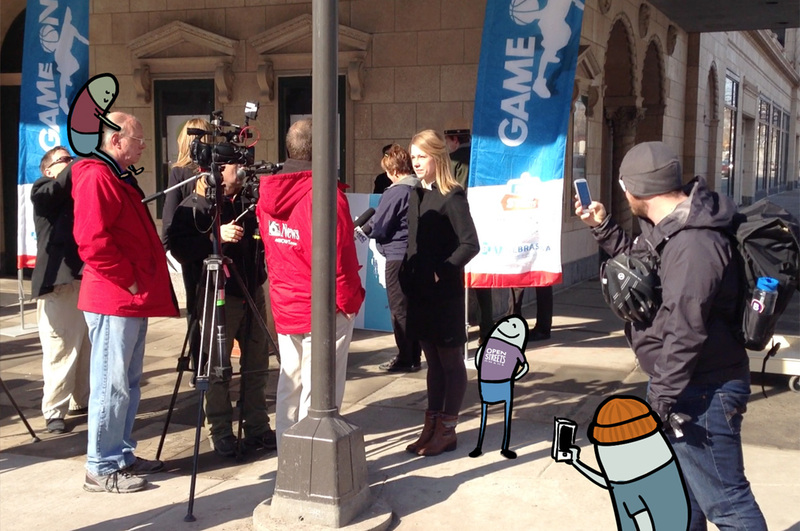 When a newsworthy photo was posted, such as the press conference with the Mayor and Omaha Play Streets Director, we added some bean characters to ensure the photos got shared more than usual. We worked with Live Well Omaha and Blue Cross and Blue Shield to create different ads, banners and more. 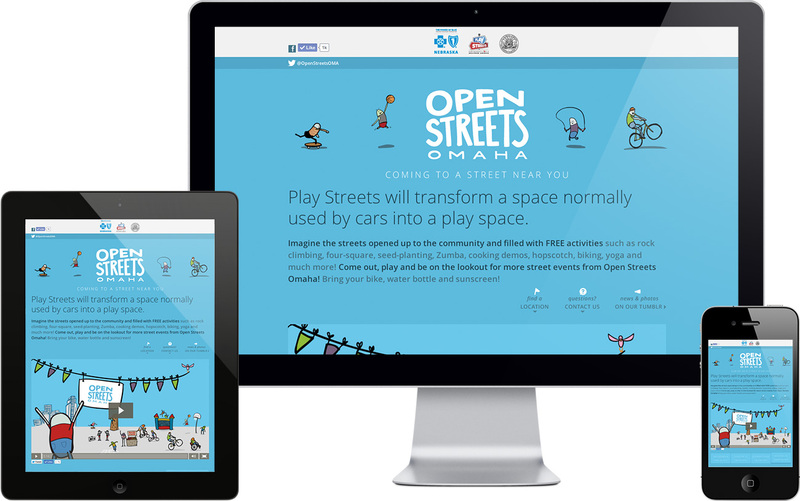 "SecretPenguin genuinely cared about the project, and made us feel like more than a client. Throughout the process, we received too many compliments to count."